Just last week I showed you what the Converse Artillery would look like in a cleated version. 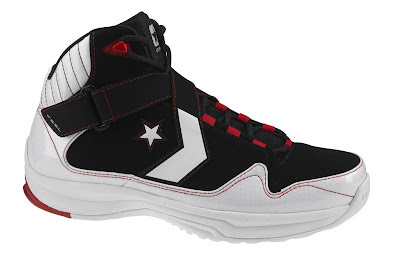 Just yesterday they dropped on Converse.com in two colorways, black/white/red and black/black/yellow. The Converse Artillery incorporates Converse FEEL, which if you played in last years 0100's then you know what an impressive comfort these will offer. Crossed straps help to hold the foot in place while also fitting in nicely with the Chevron and Star logo. 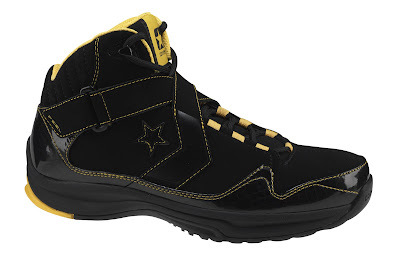 I just ordered the black and yellow colorway from Converse. These are very cool looking. These got a really cool look to 'em, and I love the classic logo making a return.